The company known for making inexpensive but quality products does it again. I — Tom Westrick — have been using these headphones as my daily use headphones for the past week, including in the gym and for hours in a crowded coffee shop. TaoTronics provided these headphones for review. Active Noise Cancellation (ANC) is one area where headphones continue to get better year after year. While traditionally found on big, over-ear headphones, ANC is starting to make its way into smaller headphones. TaoTronics is well known for making inexpensive but great products, and these headphones are no different. If you’re a fan of earbuds, definitely consider these. Bottom Line: These are one of the cheapest ways to get noise cancellation, so if you like earbuds, check these out. I gravitate towards good earbuds for their compact size, so believe me when I say these are good earbuds. They come with three pairs of earbud tips and three pairs of ear hooks to help you find the perfect fit for your ear canals, but I found the default options were perfect for me. 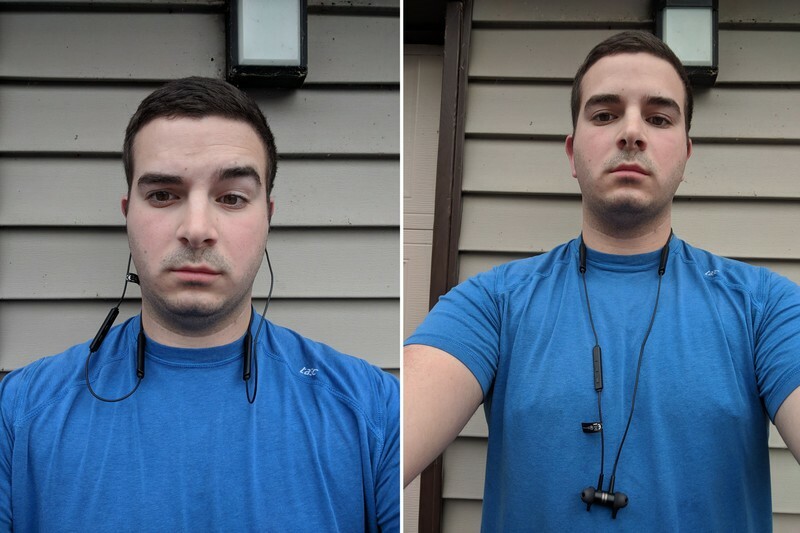 The earbuds stay in place well, even when I’m running. They’re comfortable too — I’m happy to wear these for hours on end. The controls are located along the right cord, in the form of volume up, play-pause, and volume down buttons. Holding the volume buttons is how you cycle through tracks, and holding the power button is how you turn the headphones on and off. 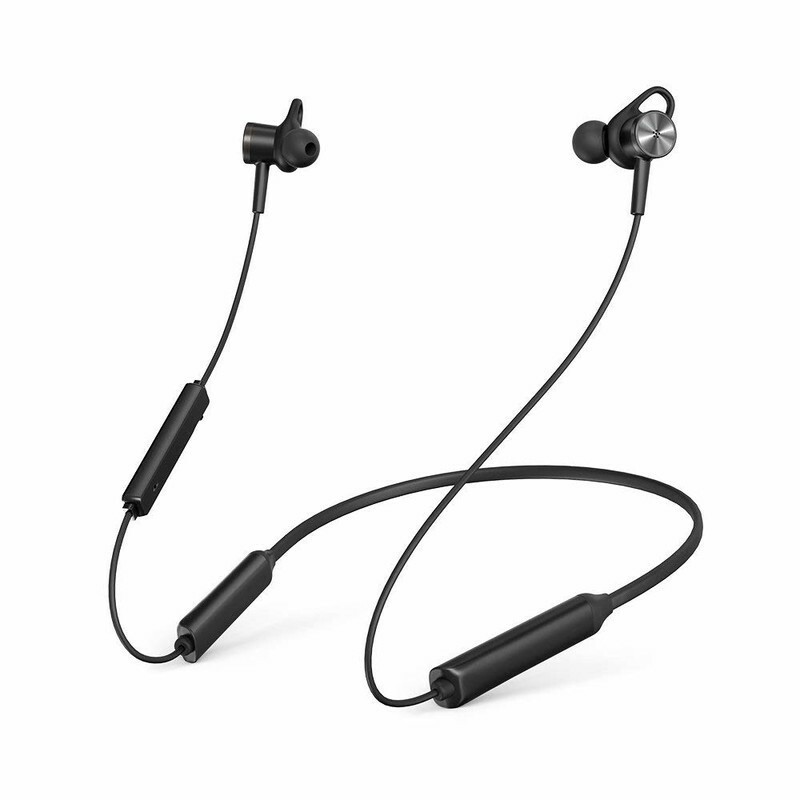 Unlike the OnePlus Bullets Wireless, the magnet isn’t used to turn the headphones on and off. And truth be told, I actually prefer it this way. I don’t want the headphones turning on in my pocket or bag just because the magnets came apart. These last for 16 hours with ANC disabled, more than long enough for a day’s use. Battery life with ANC off is also great. TaoTronics quotes 16 hours of use without ANC, which matches up to my experience. Unless you’re using these headphones on a super long international flight, you should have no problem getting a day’s use out of them. The wireless signal was strong too; I had no problems with cutouts as I walked across the gym with my phone laying in a safe spot. Audio quality is okay for the price. There’s no aptX or even AAC support, just the basic Bluetooth audio codec. It sounds fine, but not outstanding. The sound quality doesn’t degrade any — at least, not to my ears — with ANC enabled, which is nice. Tastes will vary on this, but I personally hate how far down my chest these headphones dangle when they aren’t in my ears. I understand these need to be designed for users of all heights, but as an average-sized dude, I’m left with a lot of extra cable just hanging there and getting in the way. It’s 2018, and it’s time for products to stop charging with Micro-USB. The only two products I regularly use that don’t charge with USB-C at this point are my Xbox controller and whatever headphones I’ve used. Everything else — including my mechanical keyboard — uses USB-C, and it’d be really great to only need to bring one kind of cable with me when I go out. Battery life with noise cancellation enabled is officially rated for eight hours, though I was getting closer to seven in my use. That’s not bad given the size constraints, but it means if you use these at the office, you’ll need a charge partway through the day. Not the end of the world, but there’s room for improvement. 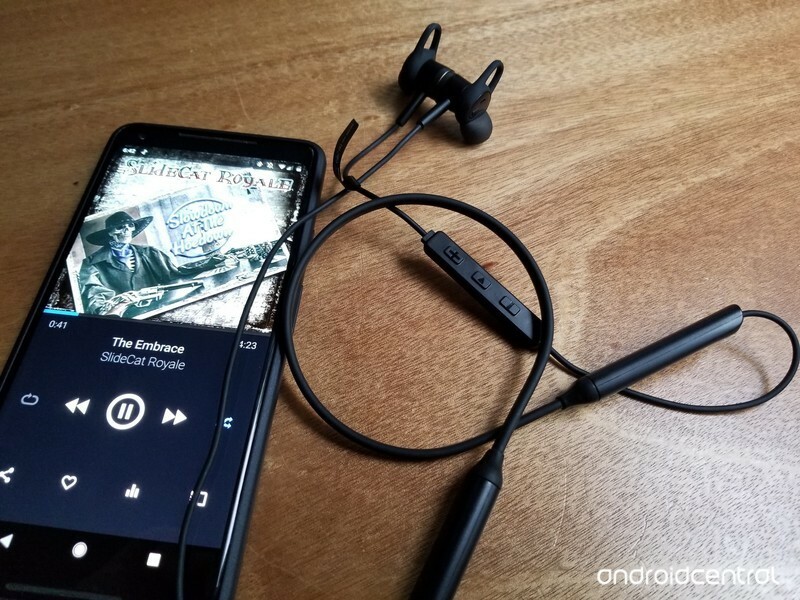 TaoTronics Neckband Headphones with ANC Should you buy them? Maybe. If you really want active noise cancellation, these are one of the cheapest ways to get that. But if you just want earbuds period, there are less expensive options with comparable sound quality, or similarly priced earbuds with aptX support for better sound. It’s not that these headphones are outright bad, it’s just that headphones are a competitive field. If you prioritize active noise cancellation in your headphones, these earbuds are for you.